It’s that time again! 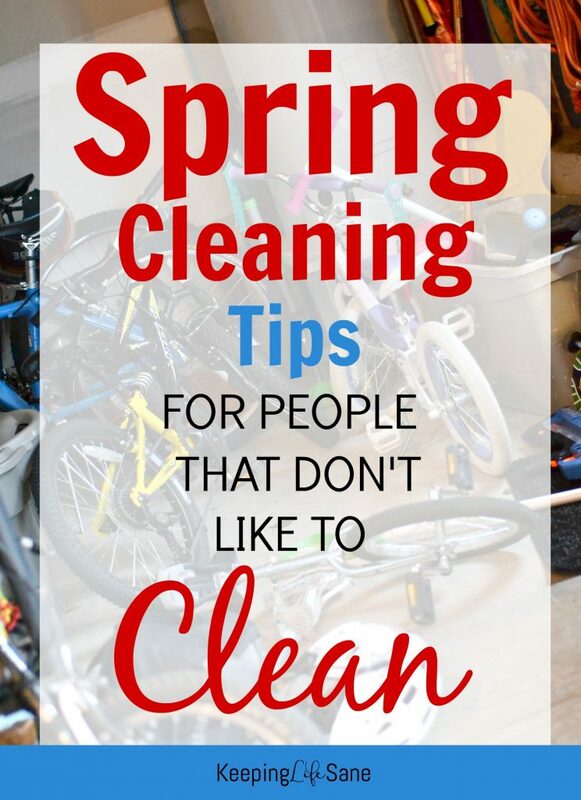 Time to start spring cleaning! Getting organized after a long winter is so satisfying! There are two groups of people. There are the ones that like to clean and others that don’t. Some people have a hard time getting motivated. Here are 4 simple steps to get you motivated and get things done this spring! Make a list– The first thing you should do is make a list of everything you need AND want to do. Make sure you stay on track doing items on your to-do list. Here’s a cute one I made that you can print out. You can see here the first thing that’s on my list this year! My garage! I am in desperate need of some organiziation. 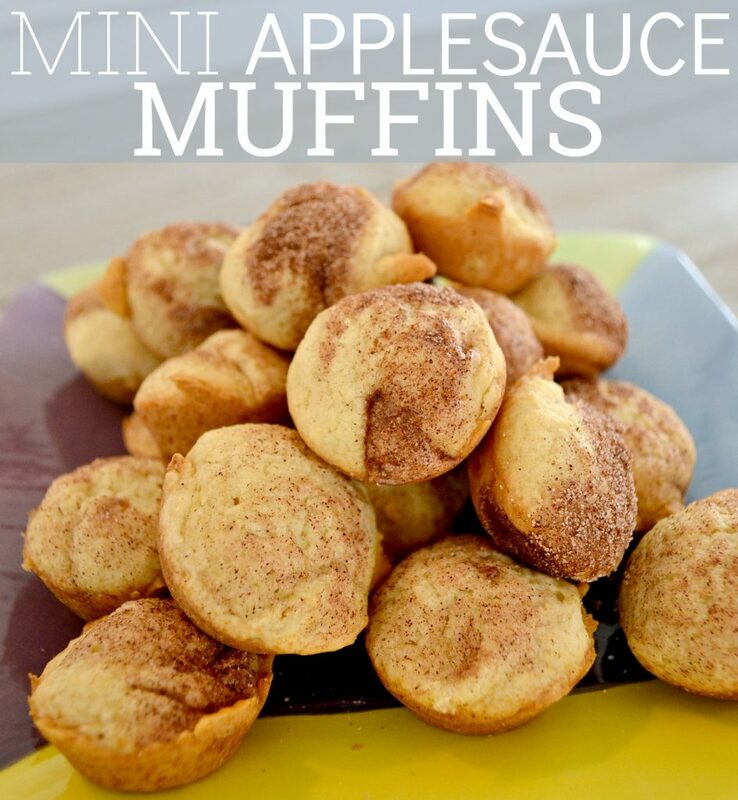 PURGE!– Sometimes this can be so hard! 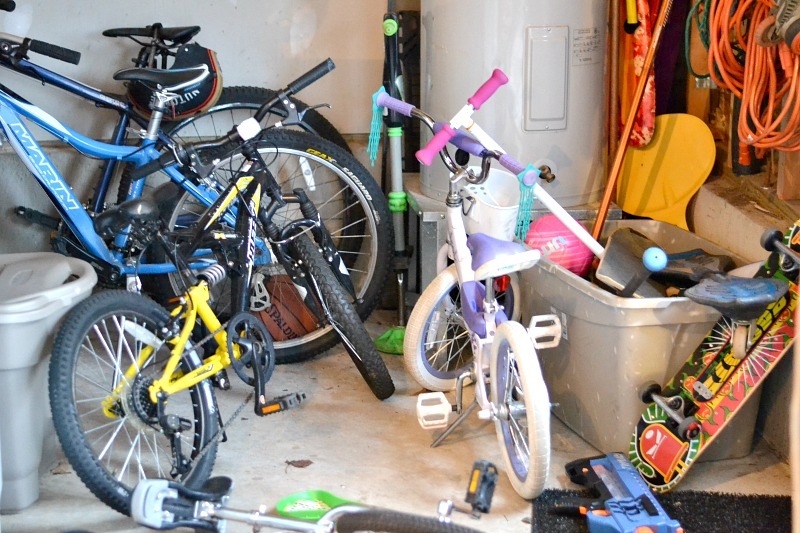 My husband always tells me he’s going to “clean out” the garage and then I go out there he’s not cleaning out anything, just moving stuff around. I bought a couple of new things for the kitchen and I couldn’t find anywhere to store them in my cabinets. 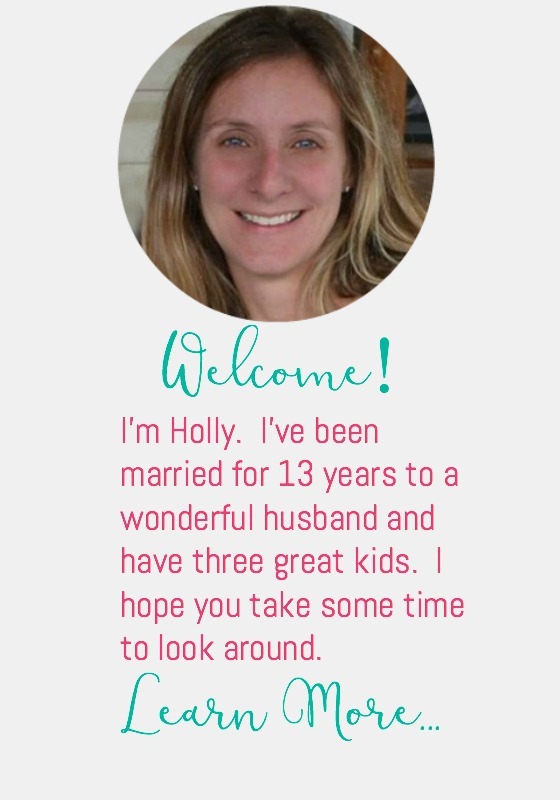 I got rid of a bunch of things that had been collecting dust since I got married, 15 years ago and it felt so good to have it gone. Why I had kept it all so long? 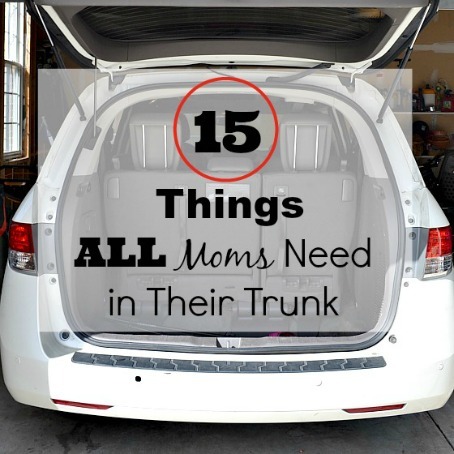 Buy needed items– This is the fun part! Do you need any new bins? Do you need a new mop or broom? I noticed my daughter had been using my inside broom outside, so I upgraded my indoor broom. 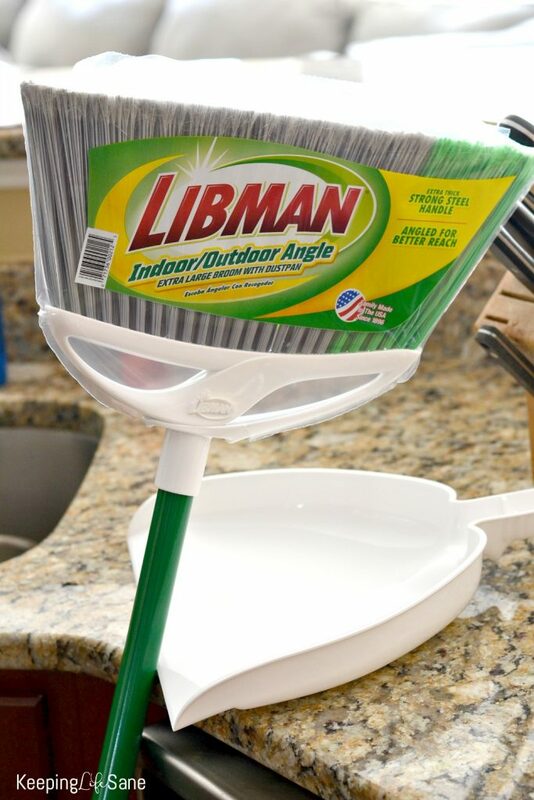 I got a Libman’s Precision Angle Broom and it’s awesome. You wouldn’t think a new broom would make you want to clean more, but it really does. 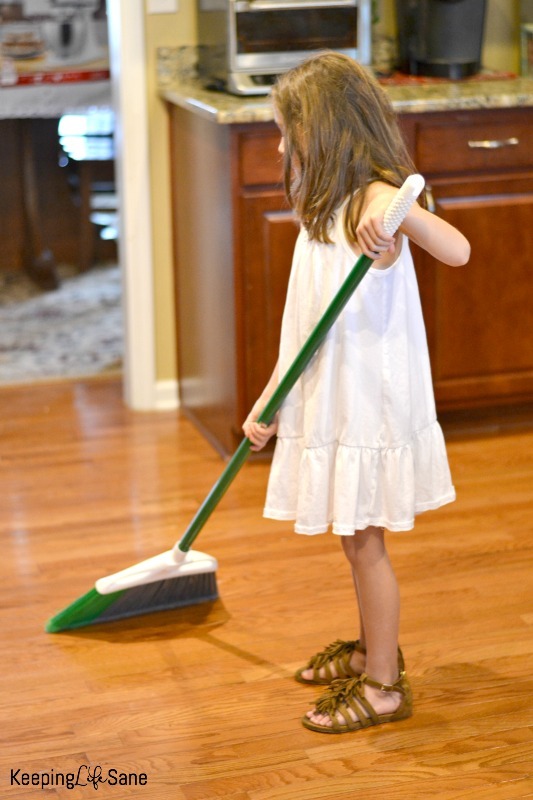 My daughter has been asking to sweep everyday! Space it out Don’t try to tackle all your spring cleaning in one weekend if you have enough for 3 weekends on your to-do list. You’ll burn out and won’t get to everything. Make sure you leave time for fun things and enjoy the nice spring weekends. Pick a couple of projects and get those done. It feels great to set a goal and meet it. If you go over to Libman’s Pinterest page, follow them, and repin from their sweepstakes-specific board you could win a $500 cash prize. Create your own wishlist of products you love. Go to their Facebook and enter your information to complete your entry. 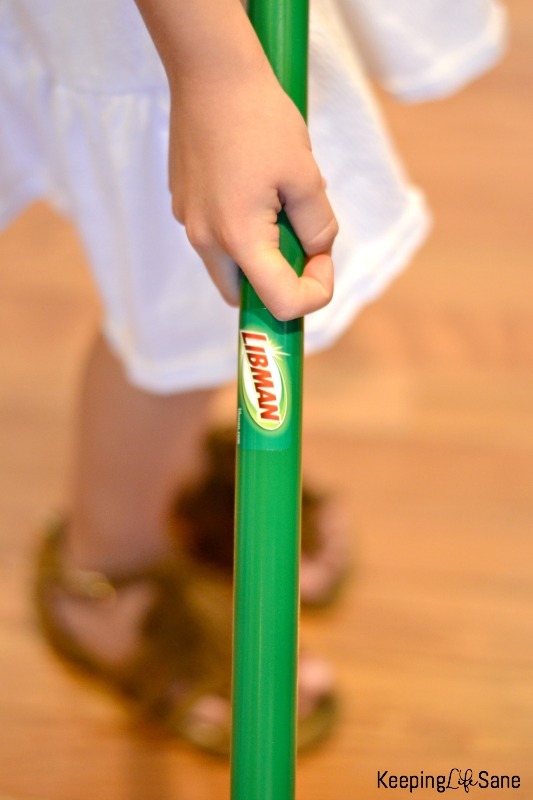 They’ll pick 5 winners to get a spring cleaning toolkit of Libman products and one lucky winner will win a $500 cash prize! This is a great way to start off spring! Good luck!